We both played sports at Briar Cliff University in Sioux City IA, but we ended up meeting at a small town street dance. We lived 3 hours away from each other, but Kyle would always have a way of making sure I never forgot about him. 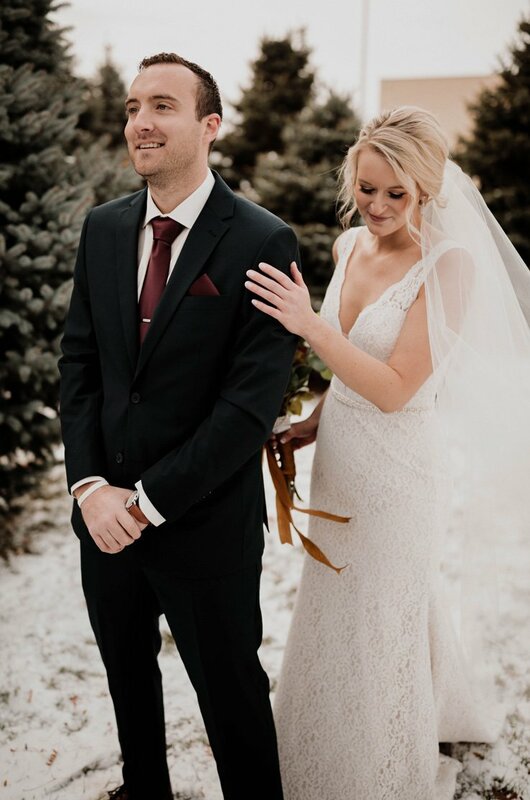 We ended up dating for 3 years, then got engaged on Christmas Eve 2017 at Bradenton Beach, Florida. He’s my absolute friend in the world and we couldn’t be happier. 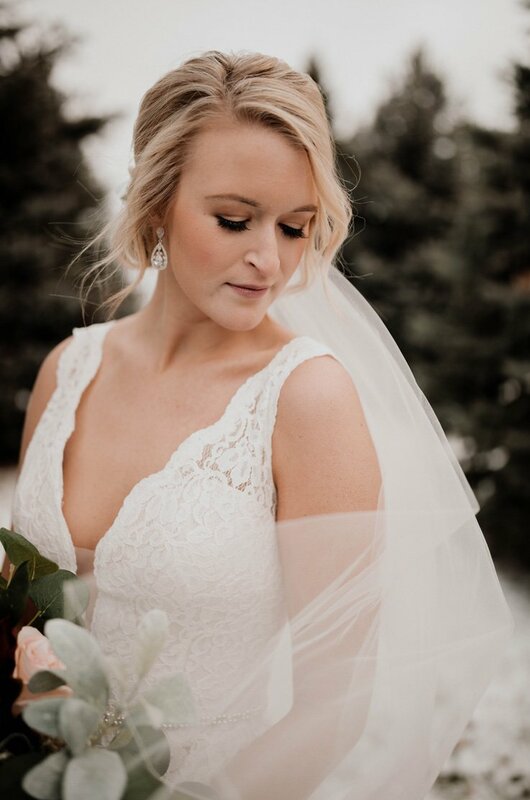 Ready or Knot made choosing the right dress so easy, I fell in love with style 2016, Mikaella, right away and I never second guessed it so I knew it was the one! 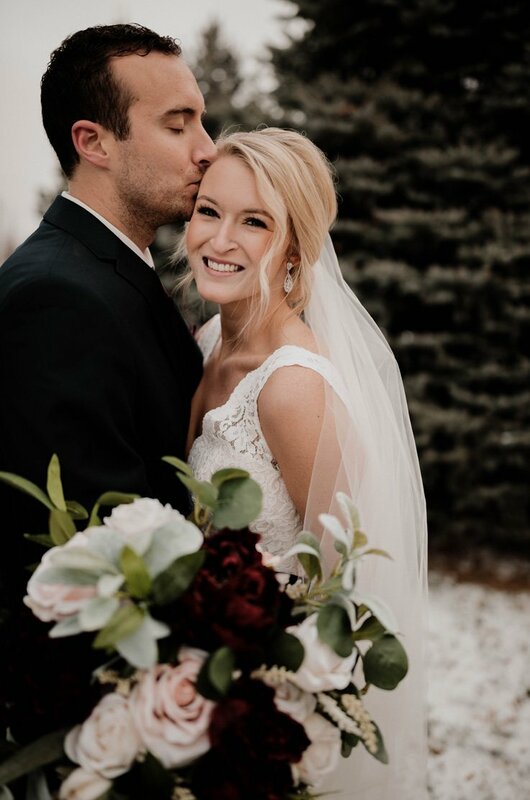 We were married at St. Stephen the Martyr Catholic church in W Omaha, NE then our reception was at Bella Terre Vineyard in Glenwood, IA (right outside of Omaha). 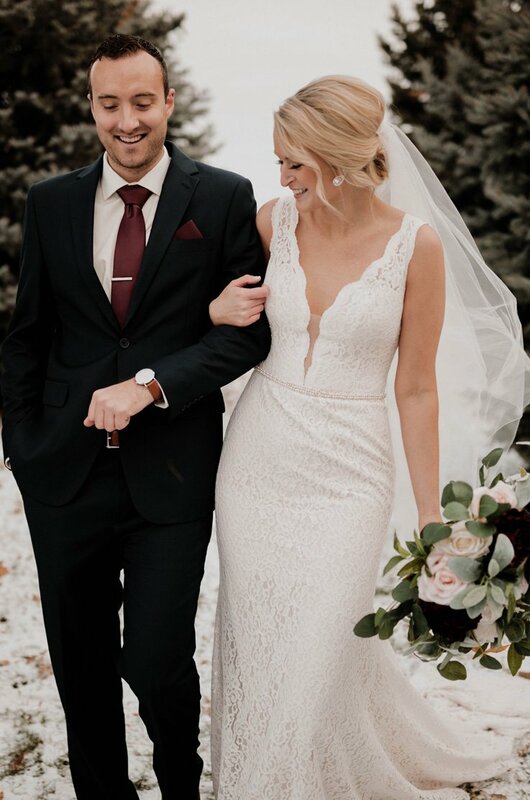 There was a light dusting of snow the day before our wedding so it made for a gorgeous view and photos!